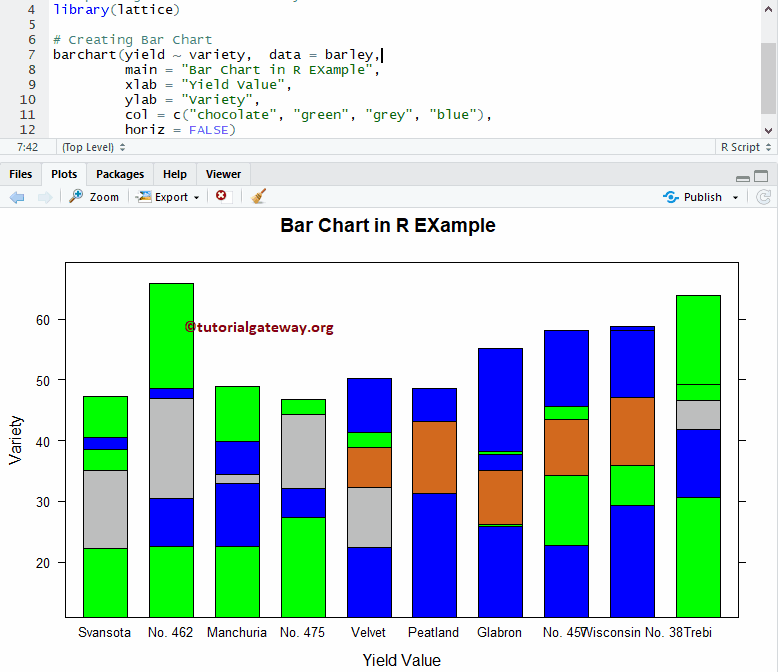 The lattice package in R Programming provides barchart to plot Bar Chart. 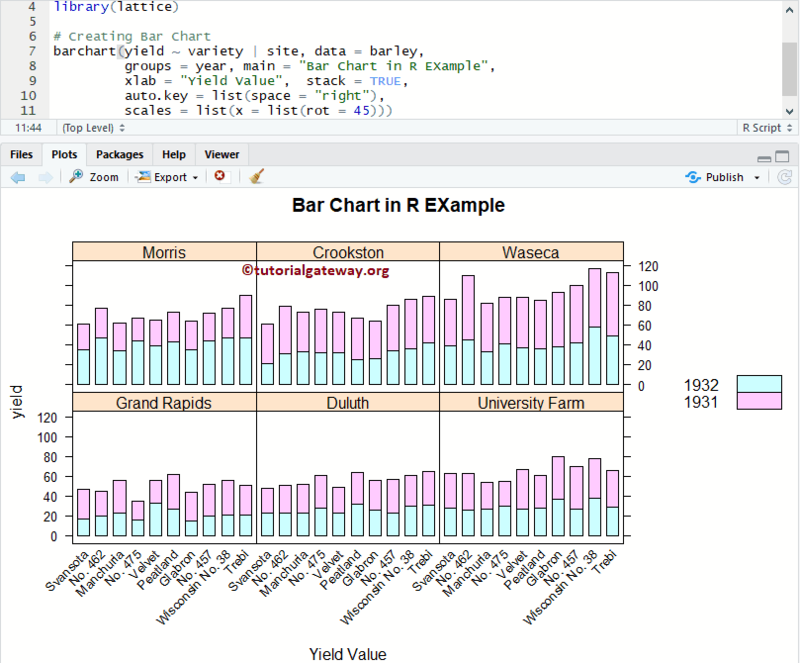 In real-time Lattice Bar chart in R is very useful to compare the data visually. For instance, If we want to compare the sales against region, categories, or product color use this bar chart. 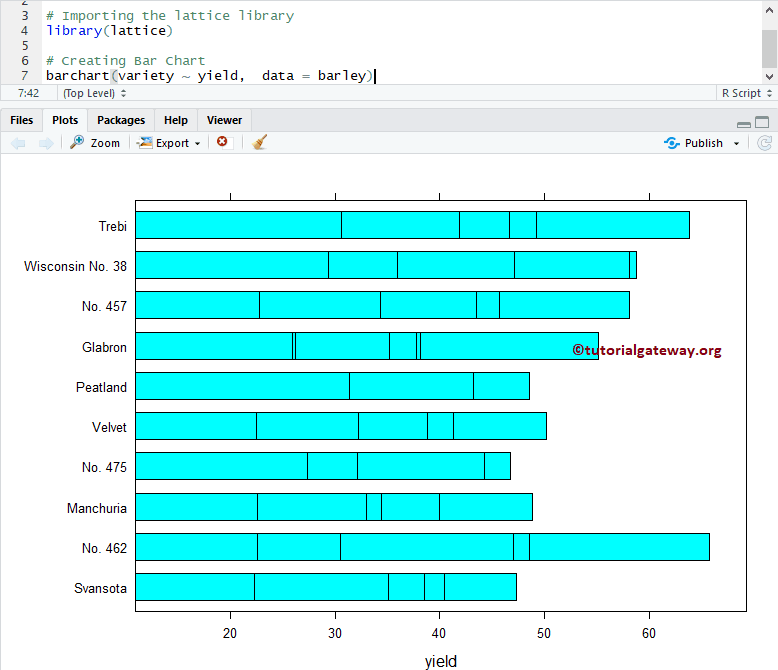 In this article, we will show you, How to Create Lattice bar Chart, Format bar colors etc with an example. 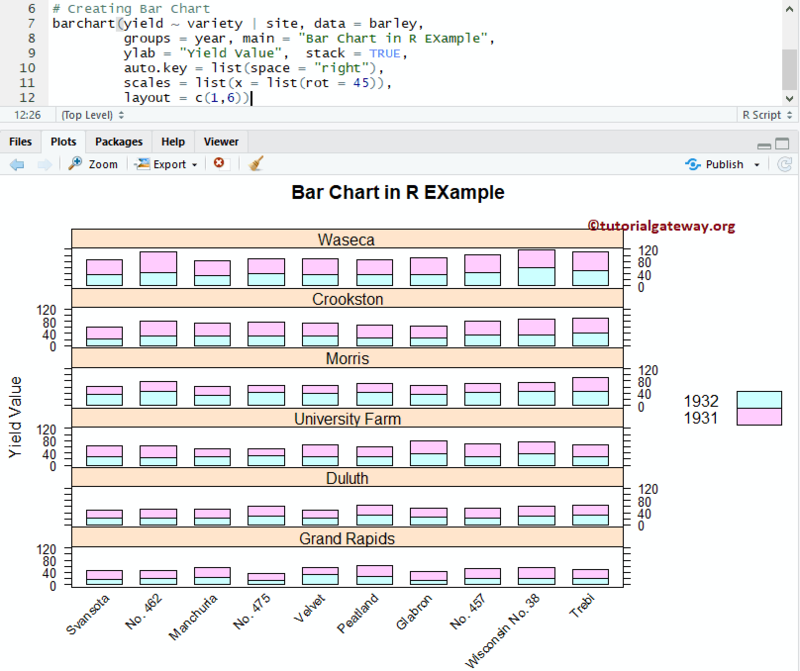 In this example, we will show you, How to create a bar chart in R.
In this example, we will show you, How to divide the bar chart based on the groups. here, scales are used to rotate the x-axis labels to 45 degrees angle. 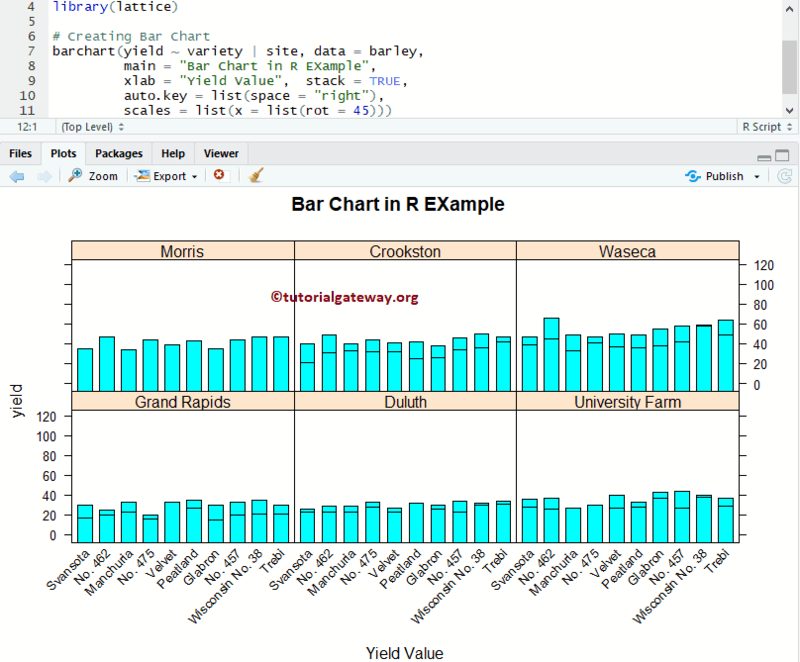 In this example, we will show you, How to use layout option in Lattice bar chart. 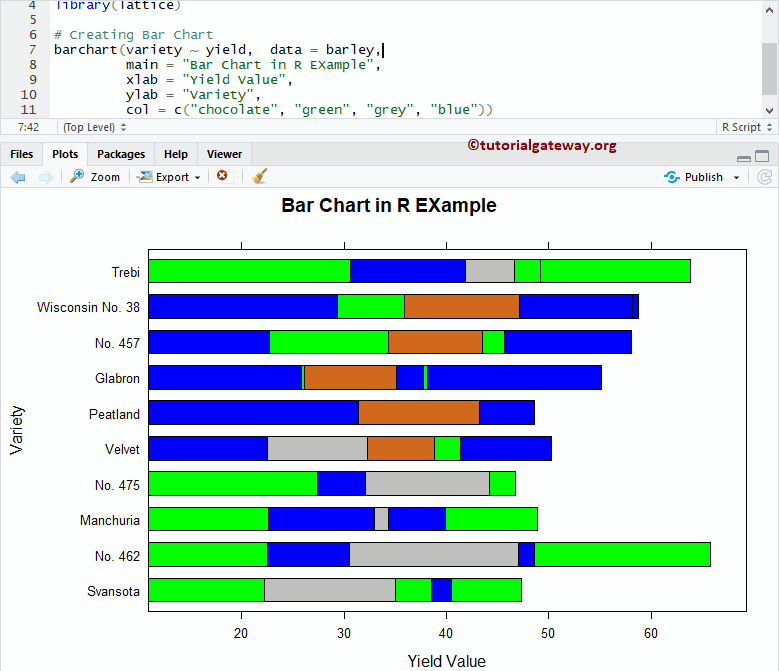 Layout: In general, Lattice Bar Chart consists of several panels arranged in a rectangular array. And, Layout determines this arrangement. This is a numeric vector of length 2 (or 3). 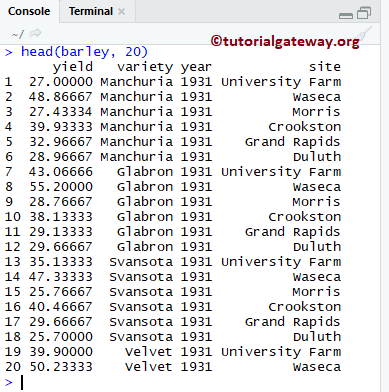 It means a vector of the number of columns, rows, and pages (optional).